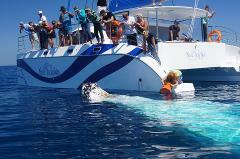 Experience the best whale watching Queensland has to offer. 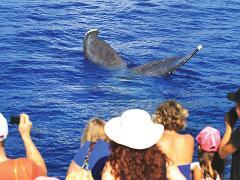 Get up close and personal with the majestic humpback whales, and enjoy their close encounters. Morning and afternoon tours available daily from 14th July - 28th October 2018. 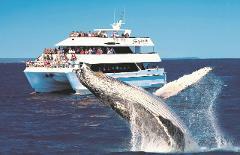 Exceptional Hervey Bay whale watching and the BEST VALUE in the bay! Jump aboard the Boat Club's M.V. 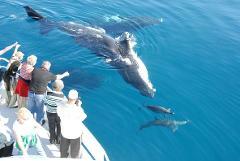 Amaroo and experience why Hervey Bay is the best whale watching destination in the world. Exclusive full day whale encounter. 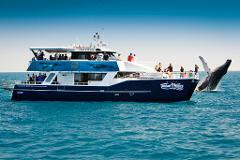 Luxurious sailing vessel, small passenger numbers and Hervey Bay's most experienced marine mammal skipper. Join us for the day and share our passion and be amazed by these wonderful whales.